It is your own business! Customers place a new order or repeat an old one, paid by card or cash on delivery. Your order printer rings and prints out the order for you to accept with ETA or decline. Money Goes into Your Account! Money from the card payments goes straight into your account. We are not in the middle. 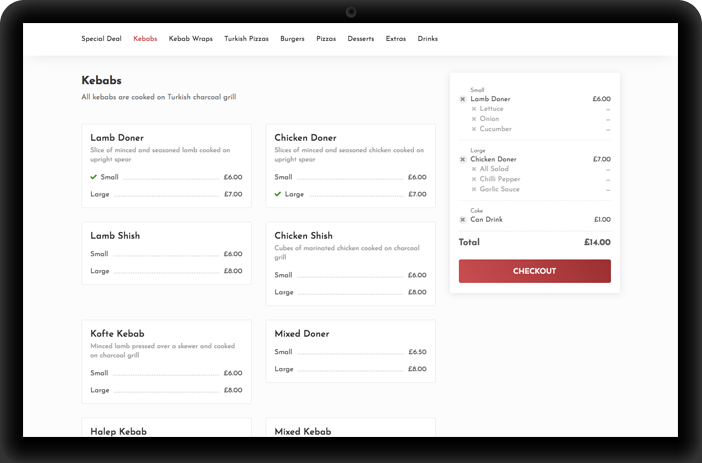 Mr Meal offers you a service that allows you to take orders on your own website and mobile app. 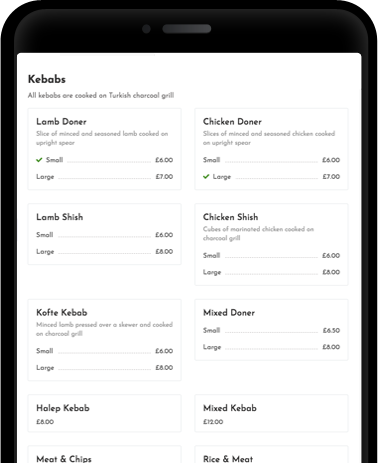 Your customers order directly from your website while we continiously maintain the service and do the marketing behind the scenes on behalf of your business. Everything you need to take online orders, is provided by us FREE of charge. We take 7%+VAT commision for the sales made through our service. No hidden fees. Get in touch today, so we can get you started! 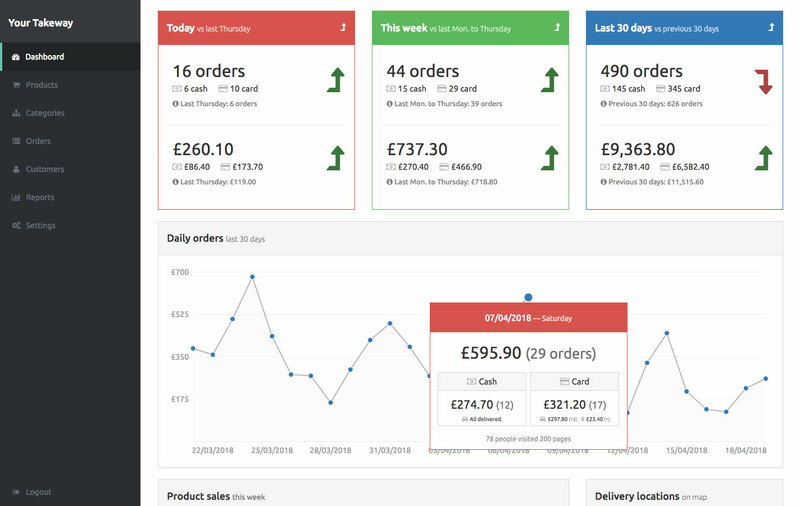 You have your own dashboard where you can manage your menu and see the sales reports. You can accept credit/debit card payments as well as cash payments. Card payments go through your own payment gateway (Stripe). You have full access to Stripe and manage your payouts independently. When there is a new order, order printer prints the order details for you and you process the order with a single key press. You can limit your delivery area by distance or postcodes and apply variable fees based on the postcode. You have full access to your sales reports and customer data. 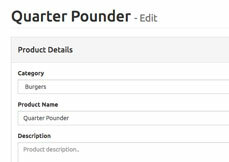 Once you login as an administrator, you can edit the categories and products straight from your home page. You can be found in Google thanks to our search engine optimisations. We also advertise for you on various platforms like Facebook, Instagram and Google. 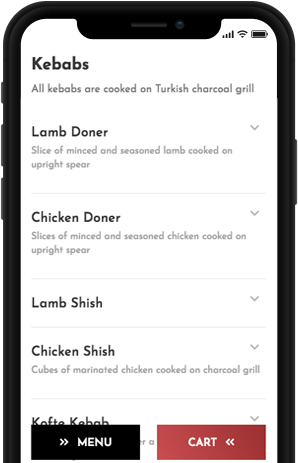 With this feature, customers can repeat an order in 2 seconds, literally. You will have a website and app that have been designed for the best user experience. Because there is no middle man between you and your customer. There is nothing like a cold soft drink. Especially when it is free of charge (provided by us). 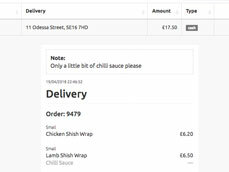 Customers can easily select an address from one of their recent orders. If desired so, card details can be saved securely. So they do not have to type again.